Janet Evanovich, mega-bestselling author of the beloved Stephanie Plum series, is back and better than ever. Her novels, hailed by GQ as “among the great joys of contemporary crime fiction,” deliver rollicking adventure with crackling wit and hilarious mayhem. And, now, one of the hottest writers today returns with dynamic duo Lizzy and Diesel to prove that when hunting down bad guys, the real fun is in the chase. 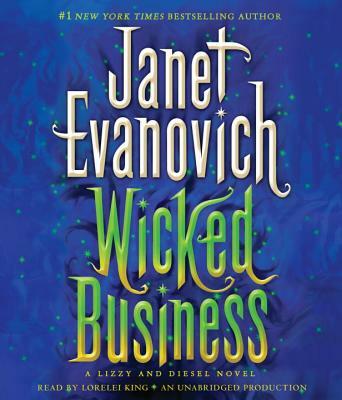 Janet Evanovich is the #1 "New York Times "bestselling author of the Stephanie Plum novels, twelve romance novels, the Alexandra Barnaby novels and graphic novels, "Wicked Appetite" (the first book in the Lizzy and Diesel series), and" How I Write: Secrets of a Bestselling Author."